posted March 07, 2013 08:04 PM bonus applied by VOKIALBG on 18 Apr 2013. Edited by Storm-Giant at 19:31, 18 Apr 2013. From what we know, on the launch the game will only feature two factions - Haven and Necropolis. The game itself evolves around heroes, towns and creatures. Building towns is a slow process (may take real life weeks! ), so is quite different from classic Heroes game. The resource system may change as well, it may be focused on having workers gathering resources and establishing trade routes. Hero development should be more traditional, with might/magic affinity, artifacts, abilities and creatures to personalize them. Each faction will feature three tier 1 units, two tier 2 units and one tier 3 unit. It's expected to be added more in the future. Battles will bring back the traditional and acclaimed hexagonal squares (hex), like in the first three entries of the series. That isn't the only change to battles (compared with H6), from what I have seeing on the videos flanking and attacking from behind gives extra damage, adding some more profundity to strategy. I also saw an archer moving and shooting afterwards in the same turn, or that it seemed. Last but not least, there'll be also co-operative battles, where an ally hero may be able to fight with you. About the campaign, starts shortly after the Third Eclipse, where the Dragon Knights press Haven and Necropolis to settle their mutual border disputes and sign a treaty, while the Order of the Void will take part too. We will meet both Sandro and Belketh. Answers to ten of the most common questions. Short but interesting entry about the story. It's confirmed that it'll take place after the third eclipse (that's in the middle land between H6 and H5 stories). Sandro is the big enemy of the main story, willing to annihilate everything and attack the Dragon God of Light, Elrath. We will aid the Sacred Order of the Dragon Knights in their fights agains the cult of the Order of the void. But that's not all, other characters like the Half-Ghoul Yorath or the obsessed Archangel Erion will take part on the story as well. Today the put a lot of emphasis on leaving the primary route and exploring the surroundings in order to find hidden spots, treasures, side quests and such. It is also confirmed that we'll meet both Sandro and Belketh. The main story starts shortly after the Third Eclipse, where the Dragon Knights press Haven and Necropolis to settle their mutual border disputes and sign a treaty. 10.03.13: Long entry about the magic of the engine and graphics. At the launch there'll be 6 different provinces, each one divided in several areas. Each area has its own graphical setting and they will all look different. To be added more in the future. You'll find NPCs, some friendly, some you'll fight with them. Faction quests of an area can not be completed by other faction(s). More at the Blog entry - The size of the world. Edited by Valen-Teen at 15:13, 15 Mar 2013. Getting a somewhat good vibe from that interview. In any case, can't wait to start playing this. Edited by Storm-Giant at 12:36, 27 Mar 2013. I've seen not only Haven & Necropolis units, but also Inferno, Sylvan, Fortress and Dungeon. Glad there are some variety on the creatures, even without town. Edited by VOKIALBG at 18:35, 18 Apr 2013. EDIT: Thanks for this nice thread, Storm, keep it updated! Edited by Storm-Giant at 15:58, 24 May 2013. I apologize, in almost a month I didn't update it - some RL stuff drew away my attention - but it'll end it right now. And thank you very much for the shiny!! Edit: Big blog post about towns! Cool, I just got a closed beta invitation. It does feel like King's Bounty a little bit, but there's a major difference: King's Bounty had humor and a story. Edited by Valen-Teen at 00:53, 30 May 2013. Really? I'm addicted to it. Since you start the game you realize this is not a classic Heroes....it's just a Spin-Off, doesn't belongs to Heroes series. I like the game so far, but title that contains Heroes is definetly misleading. Edited by Zeki at 20:05, 05 Jun 2013. There's been quite a while since the last update of this thread.. like almost 4 months! In this time valuable information about the game has been released. You can check the MMHO blog for the latest posts. Don't bother with the ubi forums, there's practically nothing there..
1. 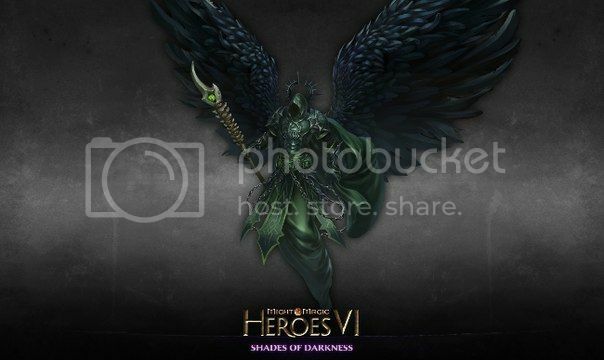 This is the Forums section of the Heroes Online test phase, which is currently in progress. If memory serves you have to make an account to be able to read the threads. There's alot of feedback there that's worth reading, imo. 2. And this is a 48 min gameplay video on youtube. My advice.. just have something to puke in near you. There's been quite a while since the last update of this thread.. like almost 4 months! In this time valuable information about the game has been released. With that said, I think I could load on my laptop, I'll try to update the OP this afternoon or tomorrow. Any news about this? Maybe someone that got into the testing phase? Some impressions, how the game feels, is it something a veteran would find interesting? New patches, improvements, devs talk, expectations? I haven't been following things for a while now, just wanna know if things are good or going in the wrong direction. Last time I checked it didn't went too well. Edited by Hermes at 14:00, 18 Jan 2014. I have created a large review of the game but deleted it due to rereading the NDA which prohibits me from disclosing any info... Sorry.